The art of critically-acclaimed Japanese artist, Yayoi Kusama, now commands the highest price for any female artist alive today. As an art-world superstar, Kusama has attracted millions of museum-goers worldwide who wait for hours for the chance to take selfies to post on Instagram in one of her mirrored Infinity Rooms. Yet little is known of this nonagenarian artist obsessed with dots and the film Kusama-Infinity reveals much about the artist. She committed herself to a mental hospital in the 1970s, out of fear that she might commit suicide. Her long arduous road to success was painful and took decades to reach. Infinity follows a young and beautiful Kusama whose tortuous path not only reveals the artist’s persistence, resilience, and confidence but also her understanding of women’s rights, sexual freedom, and gay rights in the US. She symbolically performed the first gay marriage in the US, in Central Park, long before most Americans were cognizant of the cultural revolution about to take over the mainstream psyche. Endlessly courageous, Kusama aggressively promoted her work in the male-dominated artworld of New York City, only a decade after the end of the Second World War. 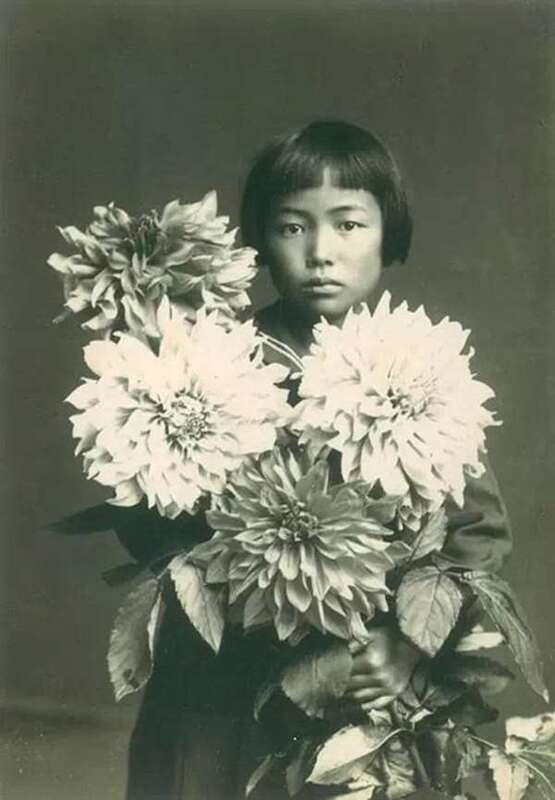 Despite staggering odds, this petite, unassuming Japanese woman, speaking faltering English, was determined to exhibit her art as she wanted, not as the gatekeepers of the artworld demanded. Infinity suggests that Yayoi Kusama’s mental illness may have stemmed from a traumatic childhood. Both her parents wanted her to have a traditional Japanese marriage, with an upper class lifestyle. Instead, the young artist escaped to New York City. While Kusama was waiting for recognition, she had an intimate but nonsexual relationship with the famous artist, Joseph Cornell. 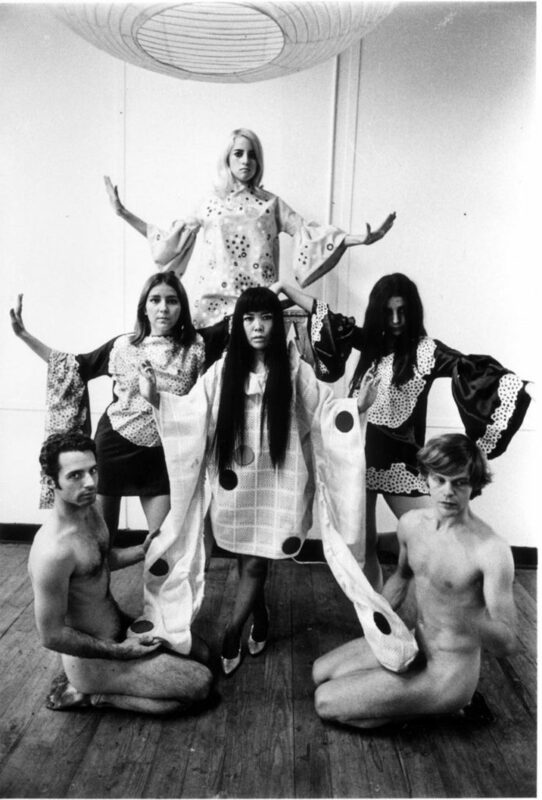 Under the mentorship of Georgia O’Keefe, Kusama had her first important gallery show. Frank Stella became an avid collector of her work as well as a supporter. Andy Warhol and Claes Oldenburg, among others, “borrowed heavily”from Kusama’s work which was still relatively obscure while these male artists became sensations. This repeated pattern, with white male artists being recognized for work that seemed influenced by her own innovations, understandably upset Kusama. The theft of her ideas may have been a catalyst for her depression and decision to return to Japan in the late 70s. Slowly, as Kusama reached her late sixties, her art became fully acknowledged and skyrocketed in value. The 1993 Venice Biennale exemplified the art world’s recognition. Infinity should have broad appeal as this film is also a condemnation of the patronizing art overseers and their impact as gatekeepers of what art becomes internationally recognized. 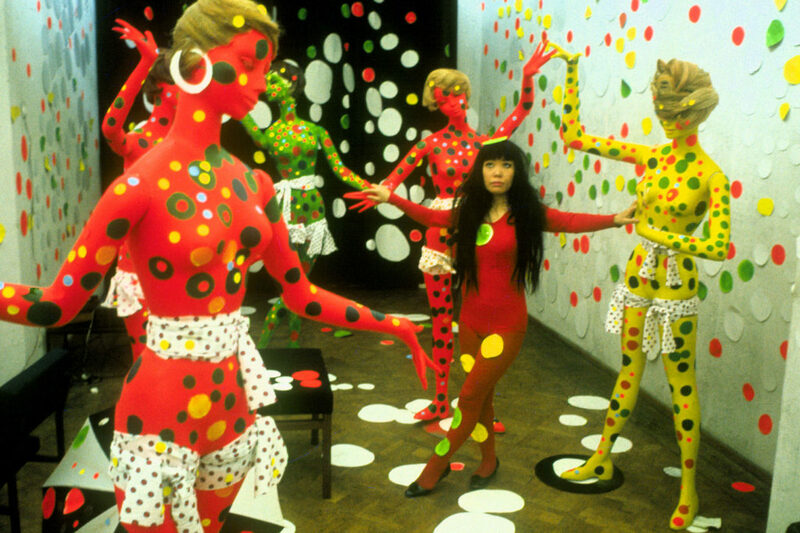 Note: Kusama–Infinity is available on Netflix DVD. “Velvet Buzzsaw” (see my February 12, 2019 review), a dramatization of a fictionalized and futuristic artworld is a fascinating metaphor for what Yayoi Kusama experienced over half a century ago. Sounds like a wonderful video. Unfortunately, I have a streaming subscription only so will have to wait. Thanks for the great review!